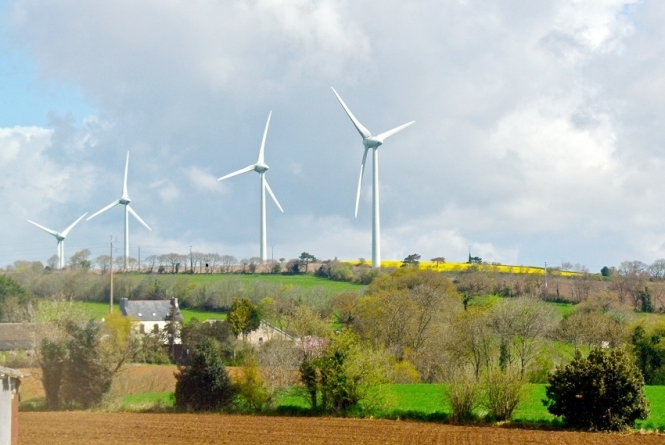 More and more wind turbines are springing up all across France, in order to reduce the number of nuclear power stations and carbon emissions. Today, there are 8,000, mostly in the north and east of France. By the end of 2030, there will be 15,000. Like Germany and the UK, France is trying to improve its production of éolienne energy to reach 35 gigawatts by 2030. Although the UK produced more energy last year, France leads it in setting up more turbines, with 649 new ones, against 485 in UK.